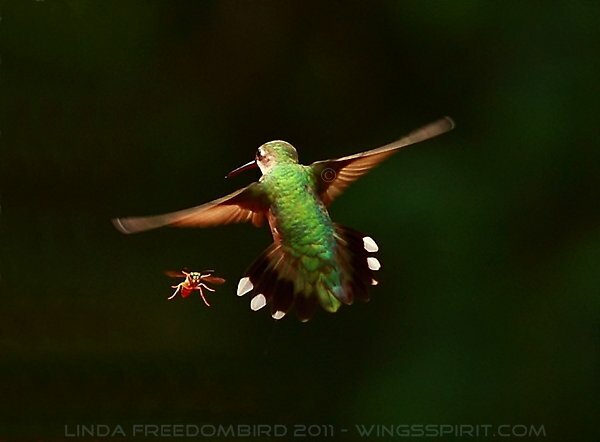 A female Ruby-throated Hummingbird is fighting with a bee.....I will run fast if I see bees! Happy Birding! * See a hovering male hummer at Hum, hum, hum! Linda, This is one very cool capture!!! Thanks Jean for your kind words!